Secured credit cards are a great option for those who have trouble getting approved for a credit card because of previous credit mistakes or lack of a credit history. A secured credit card is easier to be approved for because you make a security deposit to “secure” the credit limit. As long as you’re on time with payments, your security deposit will be refunded to you when you close your account. The best secured credit cards offer a variety of benefits for cardholders from low-security deposits to rewards and even the ability to have a five-figure credit limit. When you’re choosing a secured credit card, make sure you pay attention to the pricing, particularly the annual fee since it’s unavoidable. Ideally, you’ll pay your balance in full to avoid interest charges but go for a lower interest rate if you think you’ll end up carrying a balance. 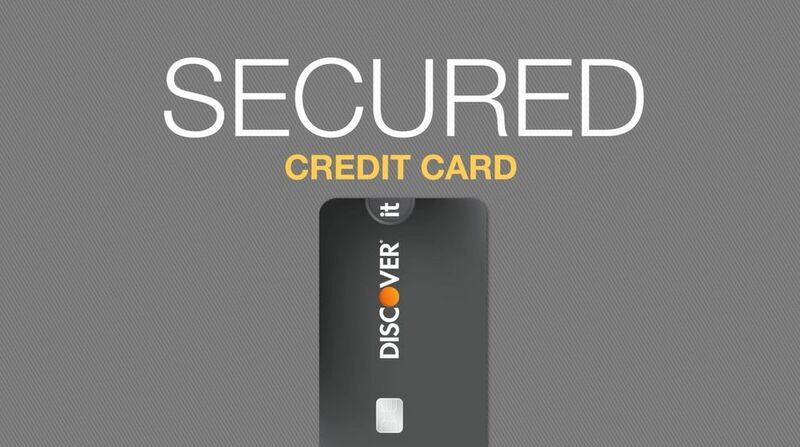 The Discover it Secured Credit Card is a rare breed of ​secured credit card that pays rewards. You’ll earn 2% cash back at restaurants or gas stations on up to $1,000 in combined purchases each quarter. On top of that, you’ll earn 1% cash back on all your other purchases. As a bonus, Discover will automatically match all the cash back you earn in your first year. You can make a minimum $200 security deposit to open your credit card. (The maximum security deposit is $2,500). Then, starting at eight months, Discover will review your account history to determine whether you can receive a refund of your security deposit and keep your credit limit. With the Discover it Secured Credit card you’ll have free access to your FICO score on your monthly billing statements. Discover also offers free Social Security number alerts, notifying you if your Social Security number is found on risky websites across the internet. Important Pricing: The APR is 24.99%, and there is no annual fee. With the Capital One Secured MasterCard, you may be able to pay a security deposit of $49, $99 or $200 for a refundable $200 security deposit. Your exact security deposit is based on your credit standing. Your on-time payments matter. After making your first five monthly payments on time, Capital One will automatically consider you for a credit limit increase, without requiring you to make an additional security deposit. With the Capital One Secured MasterCard you’ll also have access to additional MasterCard benefits such as extended warranty on eligible items, auto rental collision damage waiver, travel accident insurance, and 24-hour roadside assistance. Important Pricing: The APR is 26.99%, and there’s no annual fee. Since the Open Sky Secured Credit card doesn’t require a credit check, it’s much easier to be approved if you have recent delinquencies or a bankruptcy that would make it hard to get approved for other secured credit cards. You can make a security deposit of from $200 to $3,000 for a credit limit of the same amount. Open Sky offers a variety of options for making your security deposit, even if you don’t have a checking account. You can make the deposit via debit card, wire transfer to Capital Bank, Western Union, or by mailing a check or money order. Unfortunately, Open Sky doesn’t offer the ability to convert your card to an unsecured credit card. It does report your credit history to the three major credit bureaus. After you manage your account well for several months, you may qualify for an unsecured credit card with another credit card issuer. Important Pricing: The APR is 19.64%, and the annual fee is $35. If you’re interested in a secured credit card with the opportunity for a high credit limit, the Wells Fargo Secured Credit Card is your pick. You can deposit up to $10,000 for a $10,000 credit limit. The minimum security deposit is $300. Over time, you can become eligible to upgrade to an unsecured credit card if you manage your account well. At a minimum, that means making all your monthly payments on time on all your credit accounts, not just your Wells Fargo Secured Credit Card. Wells Fargo doesn’t specify how long it takes to upgrade your credit card account. The Wells Fargo Secured Credit Card gives you access to other Visa benefits such as auto rental collision damage waiver, travel and emergency assistance services and cell phone protection. Important Pricing: The APR is 20.99% on purchases and balance transfers, and the annual fee is $25. The Navy Federal nRewards Secured Visa is another rare secured credit card that pays rewards - one point for every dollar you spend to be exact. You can redeem your points for gift cards, merchandise, statement credit or cash back. Rewards expire four years from the month you earn them. There’s no limit on the number of rewards you can earn, and you can redeem once you earn 1,000 points (that’s $1,000 in spending). If you’re a member or veteran of the Armed Forced, a DoD civilian or family member of one of these, you may be able to join Navy Federal Credit Union and apply for the Navy Federal nRewards Secured Visa. You must make a deposit of at least $200 into a qualifying Navy Federal account to apply for the nRewards Secured Visa. Important Pricing: The APR is 10.99% to 18% depending on your credit rating and there’s no annual fee, balance transfer fee or foreign transaction fee. With the First National Bank Secured Visa Card, good credit behavior pays off. You’ll qualify for a credit increase in as little as seven months if you make all your monthly payments on time. Then, you may qualify to receive your security deposit back in as little as 11 months. Again, you’ll have to maintain a good credit history to upgrade your account to an unsecured credit card. You can open your account with a security deposit between $300 and $5,000. As a First National Bank cardholder, you’ll receive a free FICO score each month with your monthly billing statement. Your FICO gives you an indication of your creditworthiness and shows you how your credit score changes over time. Important Pricing: The APR is 11.99% to 19.99% on purchases and balance transfers, and there’s no annual fee. When you apply for the USAA Secured American Express, you’ll also open a two-year certificate of deposit (CD) which holds your security deposit and pays a variable interest rate on your deposit. You can deposit from $250 up to $5,000 to secure your credit limit. The more you’re able to deposit, the more interest you can earn. USAA will report your credit card history to the three major credit bureaus, which will help your credit score as long as you’re on time with your payments. You must be a member of USAA apply for the USAA Secured American Express. Membership is open to military members and their families. Important Pricing: The APR is 8.90% to 27.90%, there is no penalty APR, and the annual fee is $35. The Wells Fargo Business Secured Credit Card is great for small businesses with employees who have little to no business credit history. New cardholders can earn unlimited 1.5% cash back on credit card purchases with no fee thanks to the rewards program. Rewards are paid automatically at the end of each quarter to a Wells Fargo Business Credit Card or to a linked checking or savings account. Your business can obtain a credit limit between $500 to $25,000 depending on your security deposit. The larger the security deposit your business make, the greater your purchasing power. Plus, you can add up to 10 employee cards to your account — each with an annual fee of just $25 per card. Wells Fargo will review your account periodically to determine whether to upgrade you to an unsecured credit card. Important Pricing: The regular APR for purchases is the Prime Rate + 11.90%. To apply for the State Department Federal Credit Union Savings Secured Platinum Visa, you’ll first have to become a member (details below) and deposit at least $250 into a savings account. Then, once you’re approved, your credit limit will be based on the amount in your savings account. You’re automatically enrolled in the Flexpoints rewards program which allows you to earn 1 point for every dollar you spend on your credit card. Redeem your rewards for travel, merchandise, gift cards, event tickets, or donate to charity. You’ll get a 25-day grace period on purchases which gives you a few extra days to pay your balance in full and avoid paying interest. There’s no income verification and only new members are subject to a credit check. There are a number of options for joining the State Department Federal Credit Union. You can join if you’re an employee of the U.S. Department of State, an affiliate of an eligible organization, or have an immediate family member who is a member. You can become a member by joining the American Credit Union for $8.00. Important Pricing: The regular APR is 8.99% to 16.99%. There’s no annual fee, balance transfer fee, or foreign transaction fee. Should You Switch to a Credit Union Credit Card?